Bob Dylan, Me and keeping the show fresh. I am a great believer in working hard to keep your show as fresh and up to date as possible. Unlike most performing skills this one doesn’t automatically get easier the longer you have been performing your show. In fact, in some ways it gets harder and harder as time goes on, to remain fresh. Bob Dylan has described the most difficult part of aging, developing and improving your show as, “Learning to do consciously, what you used to do unconsciously.’ There aren’t many people who use words as carefully and effectively as Dylan or who have re-invented themselves more times. After more than 50 years as a performer who matters and whose career keeps hitting new heights, I think that comment is worth doing a little private meditation upon. When we begin (as most of us did) performing magic shows as kids, it is easy to be fresh and appealing, it is a huge part of the success we achieve.The longer you perform the more necessary it is to look at your show with fresh eyes. It can become very easy to become slicker but less interesting as performers. Although we still get the audience reaction we want, sometimes we loose the audience’s empathy, which is the magic ingredient that marks all great entertainers. It is possible to become so immune to the immediacy of our show that we are saying words, or performing actions, without feeling the emotions that should be causing those words or actions to take place. There is much talk in magic about Robert Houdin’s statement, ‘A magician is an actor playing the part of a magician.’ Good actors worry more about being ‘in the moment’ than they do about acting. Gary Cooper once said, “Acting is great, just never get caught doing it.” I believe the same holds true for performing. How did Bob Dylan master this art of rediscovery of self? He spent a decade on what is now known as ‘The Never Ending Tour,’ and just performed gig after gig after gig changing something every time he performed. Sometimes it worked and sometimes it didn’t—he didn’t care. He was just trying to recapture his state of mind when he was young, fresh and bold enough to create some of the most important songs in musical history. One night he would sing ‘Like A Rolling Stone’ as a country waltz, the next night as a snarling blues. The next night it was an angry attack and then a rueful ballad of regret. Every night he played in different keys and used different chords to try and regain the spirit within him that created the song in the first place. Each night he was interested in finding at least one new and fresh moment of truth in his performance. By the end of the first decade of ‘The Never Ending Tour’ he had taken those songs and turned them inside out—sometimes making them almost unrecognizable in the process. This didn’t always make his old fans happy and a lot of them dropped away in the process. However something strange began to happen and young people started to attend his concerts again. The new younger audience he acquired recognized the truth and sincerity with which he was dismantling and rebuilding his legacy. Then something really exciting began to happen, and after a decade of scarcely writing a new song, he started to write some of the finest songs of his entire career. He made exciting and commercial albums that received huge critical acclaim. Of course, these albums didn’t sound like they did in the first rush of his creativity in the ‘60s; they had a maturity and insight that his early work was always building towards. To put it another way, he started to be able to achieve consciously what he once achieved unconsciously. Now it may seem that I have wandered a long way from doing a magic show, but the title of the column is ‘Keeping the show fresh,’ and that is why I used Dylan’s process as an inspiration. Of course, you and I aren’t genius level icons like Bob Dylan, but if we want to keep on performing for 50 years and remain as popular, relevant and successful as he has then we may find a very important lesson here. I did. 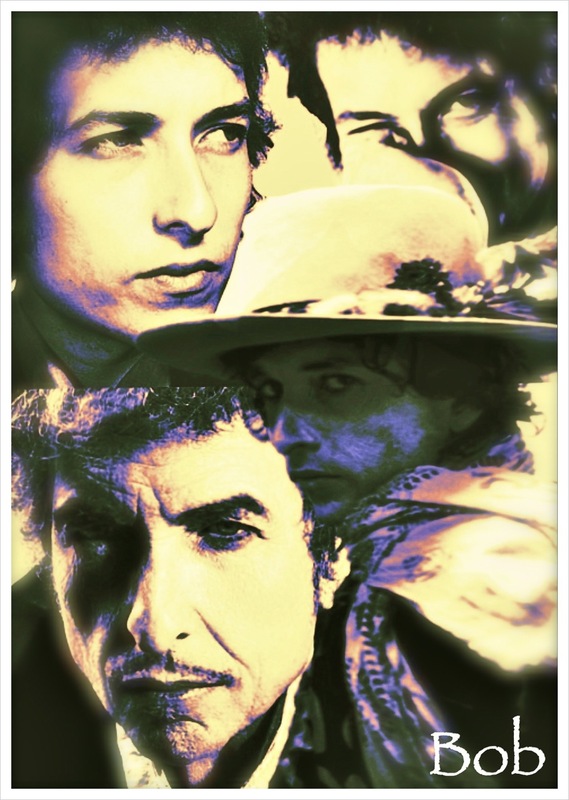 I compressed the first decade of Dylan’s ‘Never Ending Tour’ into the five years I spent performing my one-man show in Las Vegas in the mid ‘90s. 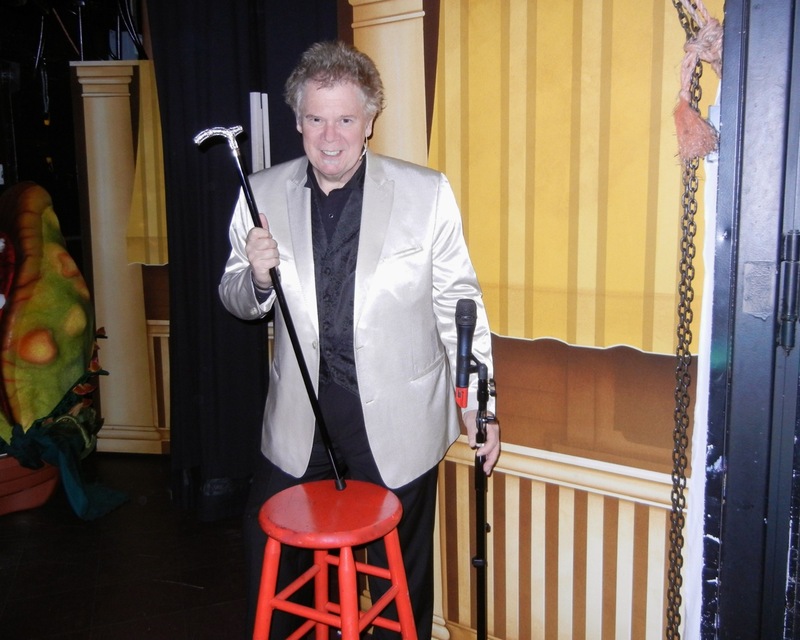 I performed two one-hour shows a day, six days a week, 48 weeks a year for nearly five years. That is a lot of shows.After the first two years I discovered what the term ‘Vegasy’ meant and why it was so used as an insult. I would be performing and not even thinking about what I was saying to the audience. I’d say things like “Good afternoon, welcome to the show,” and, not only not mean the words I was saying, but not even know I had said them! The show incidentally, was a huge success and getting great reaction—I just wasn’t there to be part of it. Then I began to try and do something new everyday, say something totally different or even use a different voice; in order to wake myself up at some point. I would then try and stay awake and be ‘in the moment’ for the remainder of the show. This is what I have been doing ever since and it has resulted in a quantum leap in my performing skills. The strangest thing in the world is when you discover that it is possible, without realizing it, to spend a large part of your day in a state of sleep. It may be shallower than nighttime sleep but it is still sleep, even when you are doing something as vibrant as standing onstage entertaining hundreds of people. I am happy to say that this approach is really working and I am now ‘conscious when I used to be unconscious.’ That is my thoughts on keeping the show fresh……..
~ by Nick Lewin on May 31, 2012. Tags: Bob Dylan, Performance of Magic, Performing Magic, Waking up.